What a Sunday treat! 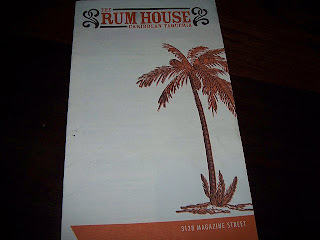 Yesterday, J & I were invited to celebrate BFF CG's birthday at Rum House located on historic Magazine Street. 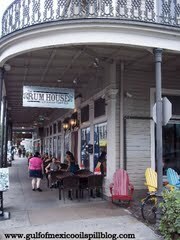 Along with BFF LK and two of their friends from the bayou, Rum House has become one of our favorite go-to places. Rum House is "a one of a kind joint inspired by all the islands have to offer. 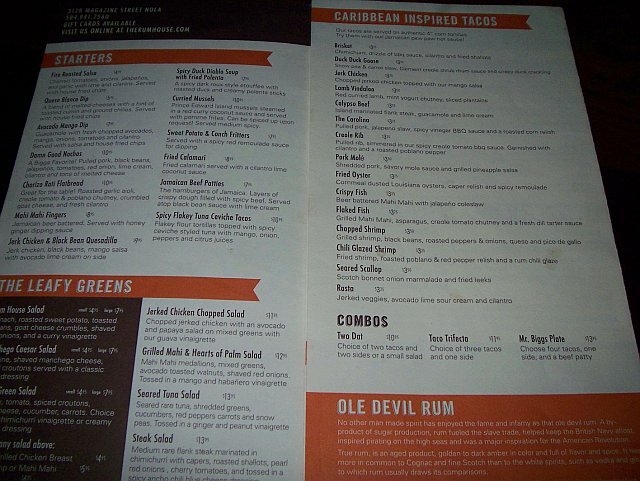 The menu features Caribbean-inspired tacos, island blends, and an incredible rum bar." If I cannot have Taqueria del Sol (Atlanta), then this is the next best thing. 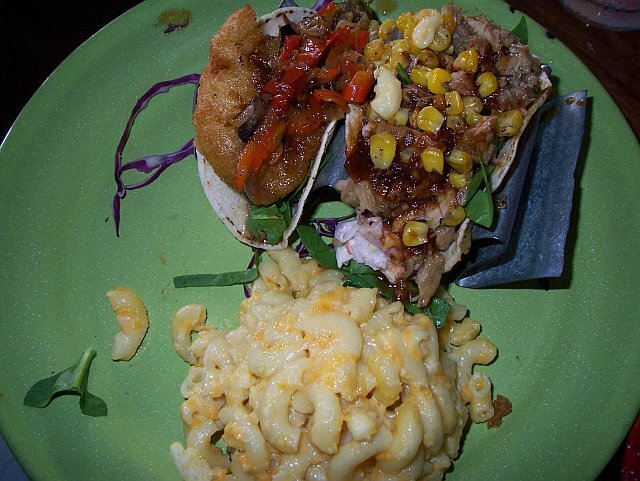 The tacos are delicious! 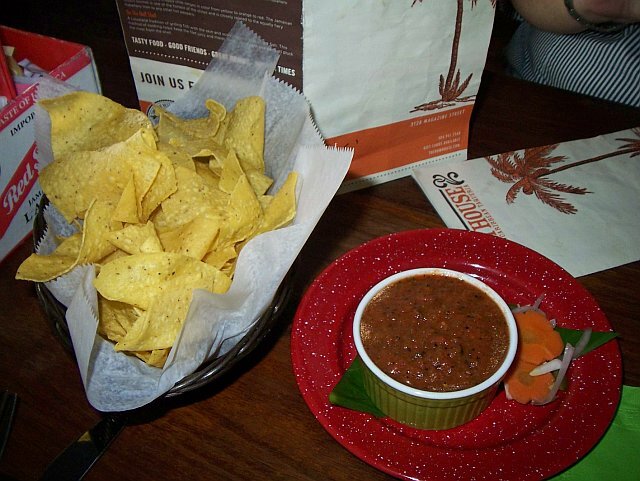 We began our meal with the chips and salsa. My only dislike is they are not complimentary but are necessary for a true, authentic meal. A pitcher of margaritas was also necessary to wash the chips and salsa down... of course! J and I had our usual Taco Trifecta--- 3 four inch tortillas with numerous taco choices. 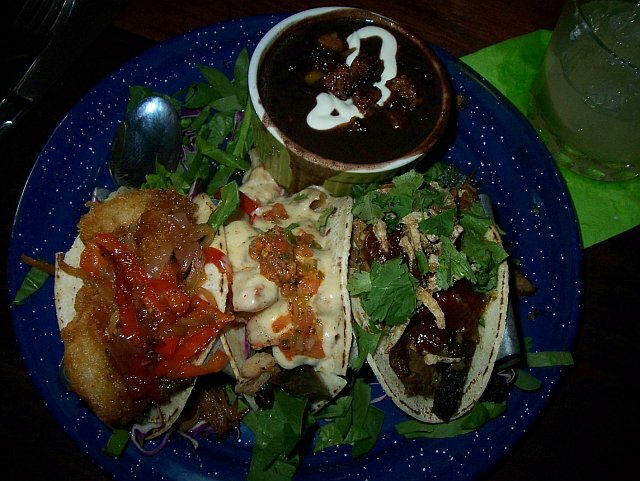 I chose the brisket taco, the chili glazed shrimp taco, and the chopped shrimp taco. All I can say is yummy!!! I also chose a side of black beans with chirizo relish and sour cream. J dined on the oyster taco, carolina taco, and a chili glazed shrimp taco. He also had a side of mac and cheese. 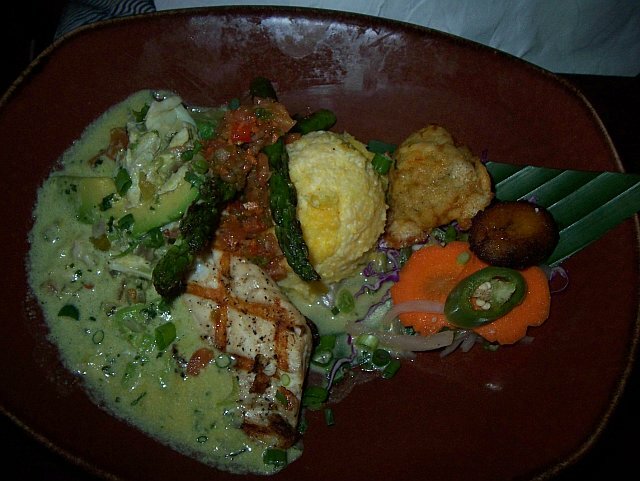 BFF LK had the fish of the day--- redfish with avocado and lump crabmeat, asparagus, and polenta. 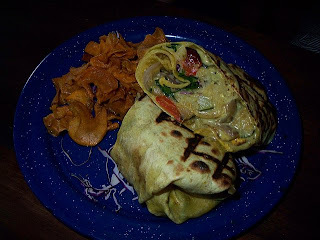 CG had a veggie sandwich wrap. Rum House is definitely a Yum House. I cannot wait to go back! Yum!! 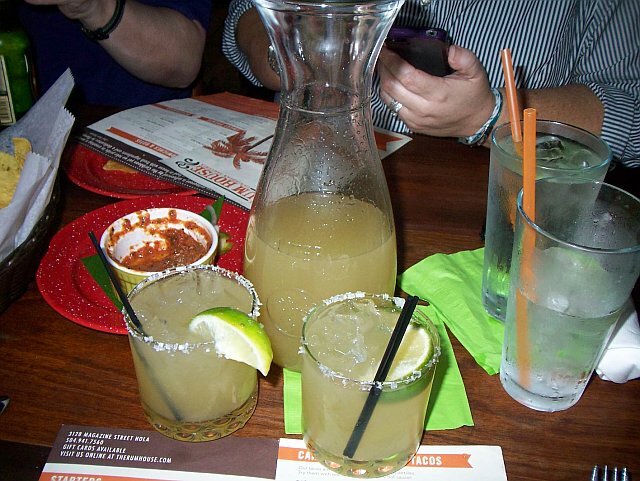 Looks delicous, Ron!!! I am adding it to my list of restaurants to try in NOLA!! Thanks for the recommendation! !